Whether you’re dairy free, vegan or paleo, I think we can all agree that chocolate milk is a glorious thing and that this childhood favorite needs to be recreated A.S.A.P. 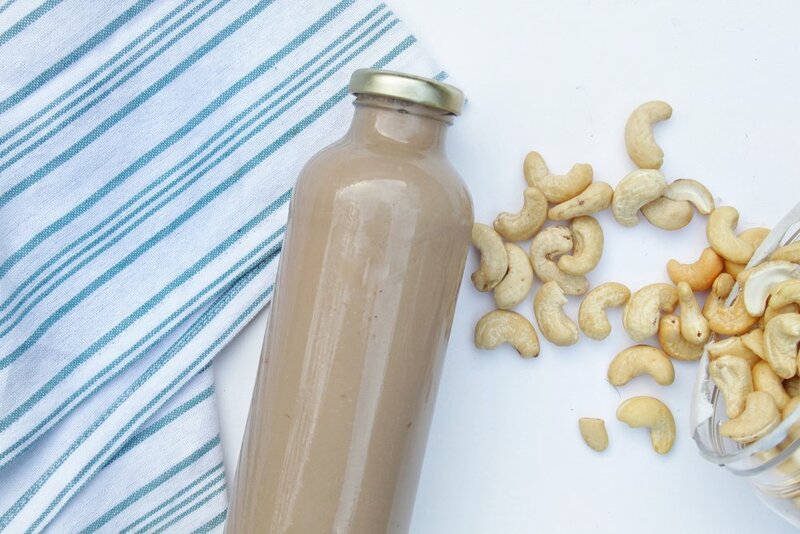 Allow me to just take a minute to praise the wonderful cashew for bringing its wonderful creamy and satiating flavor that also packs quite the nutritious punch. You can make almost any dairy-free favorite, including nacho cheese, with these glorious little life giving nuts. Honestly, what’s not to love? They’re full of protein and healthy fats and they keep your blood sugar stable, just for beginners. Your littles will be asking for this Chocolate milk on the daily. And it wont really be a problem because you’ll be requiring it daily too at this point. And it only takes a few tiny steps to make, so can we really consider this a problem after all? More like a solution to the problem of not being able to drink chocolate milk since giving up dairy. Should I talk about the reasons you should give up conventional dairy? Nah, I won’t get all ranty on you guys today, you’re off the hook. Just be sure to buy the big tub of organic cashews at costco. 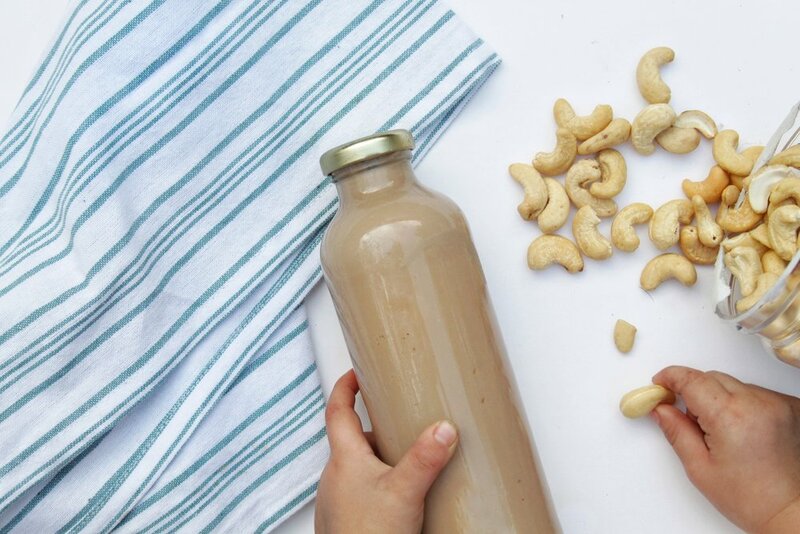 Soak 1 cup of cashews + 2 dates in a large cup of filtered water overnight. The next day, drain and rinse the cashews and dates. Add the soaked cashews, dates, vanilla, agave, cacao and water to a high speed blender until consistency is thin. If you’re storing this in the fridge, just be sure to shake it first to combine.